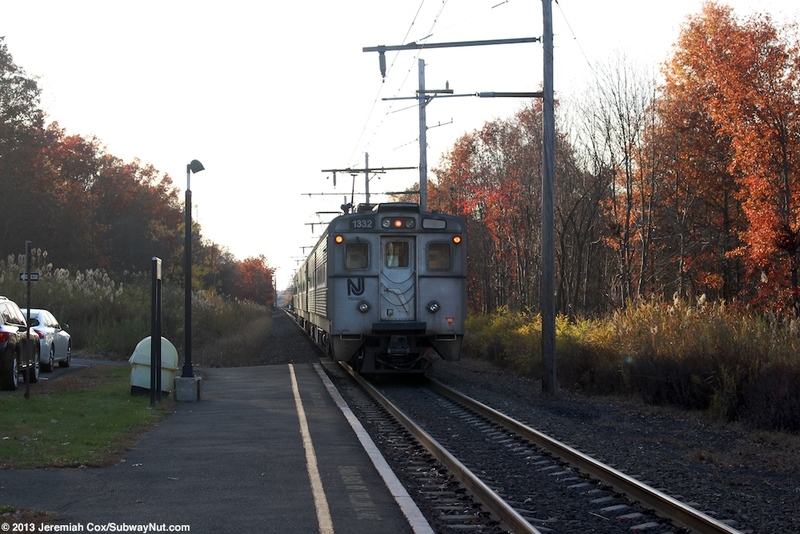 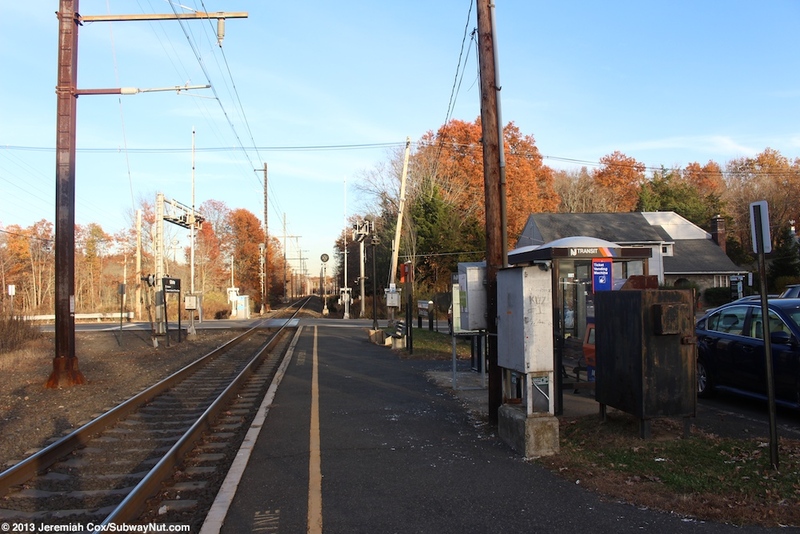 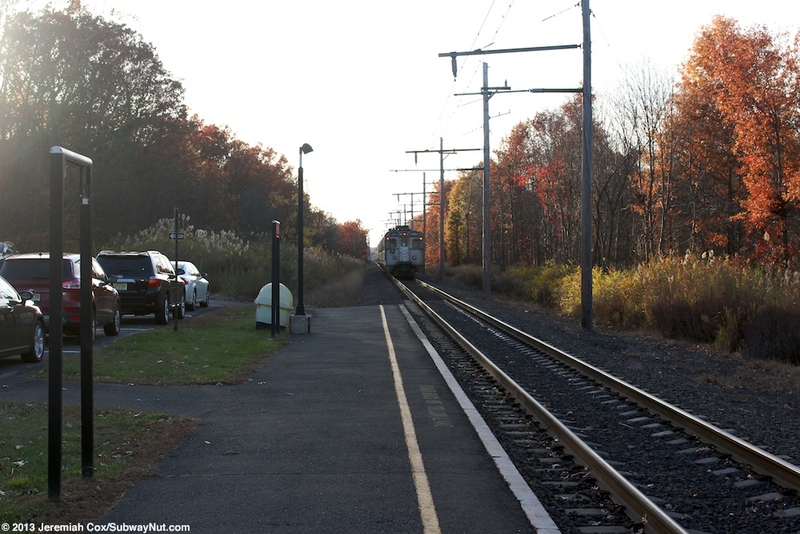 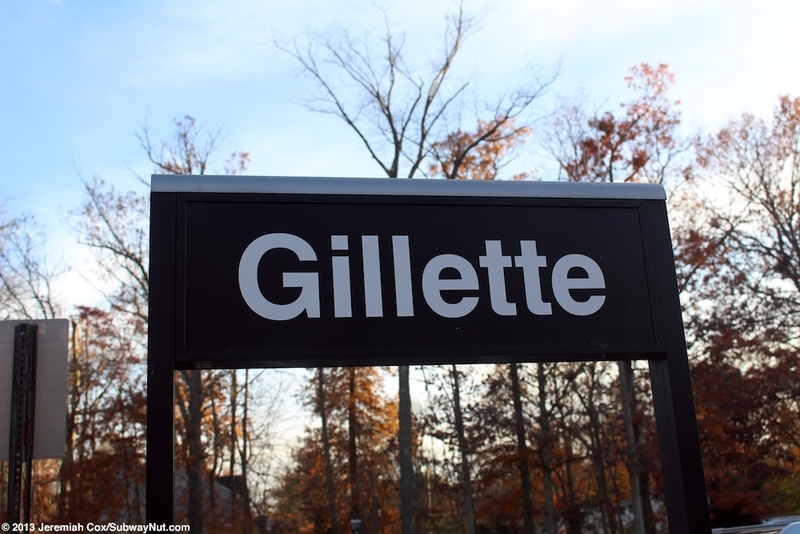 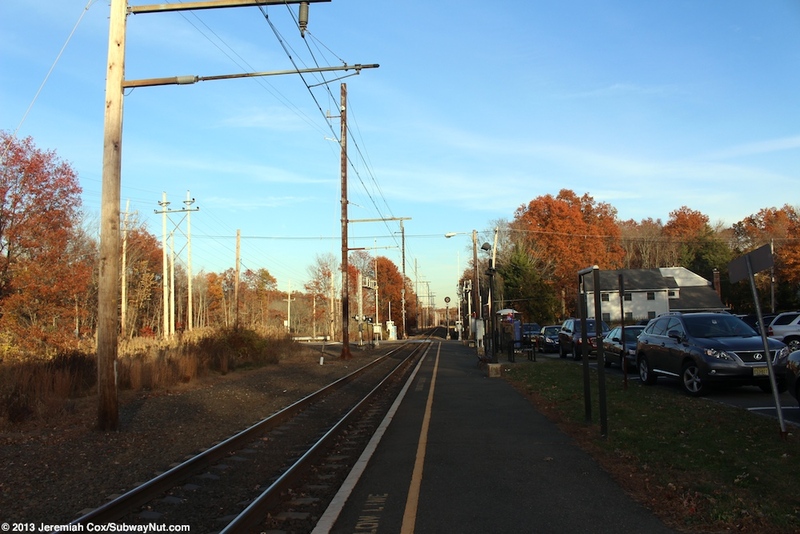 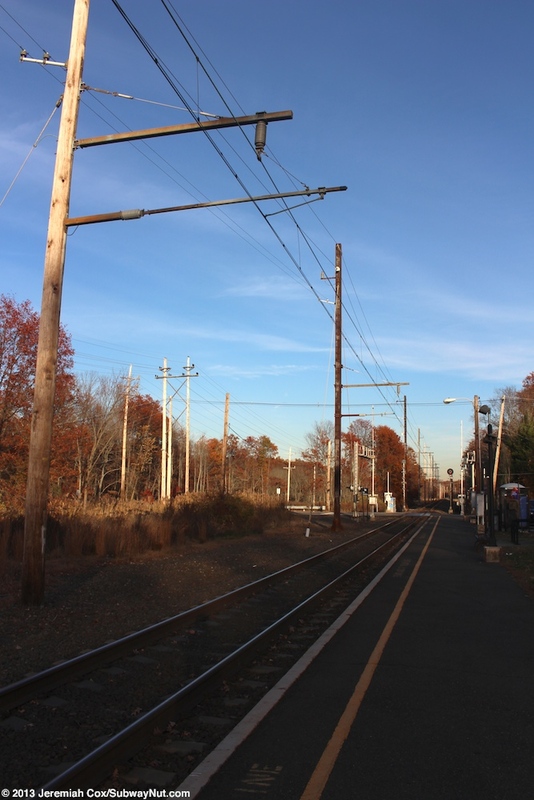 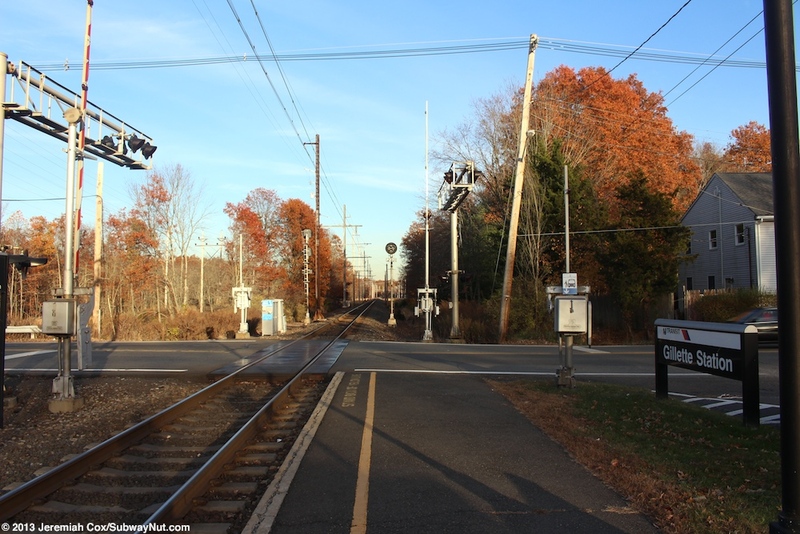 Gilette is one of the simplest of Gladstone Branch stations and never had a station house. 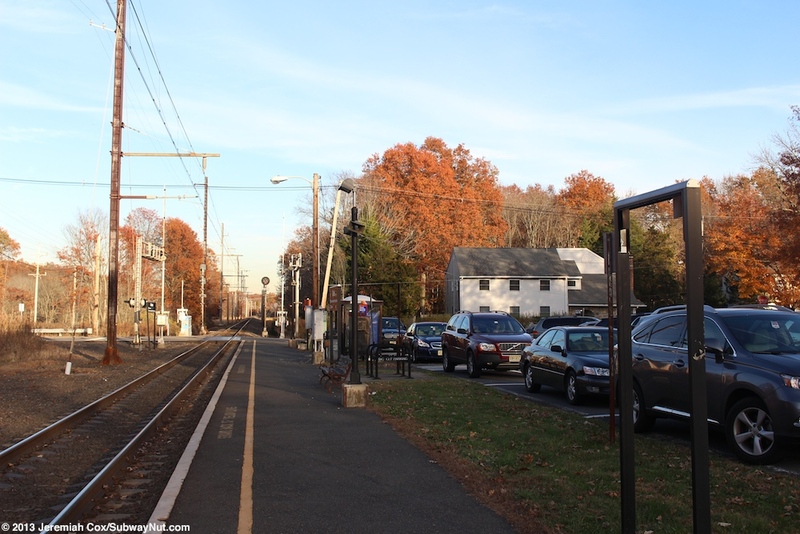 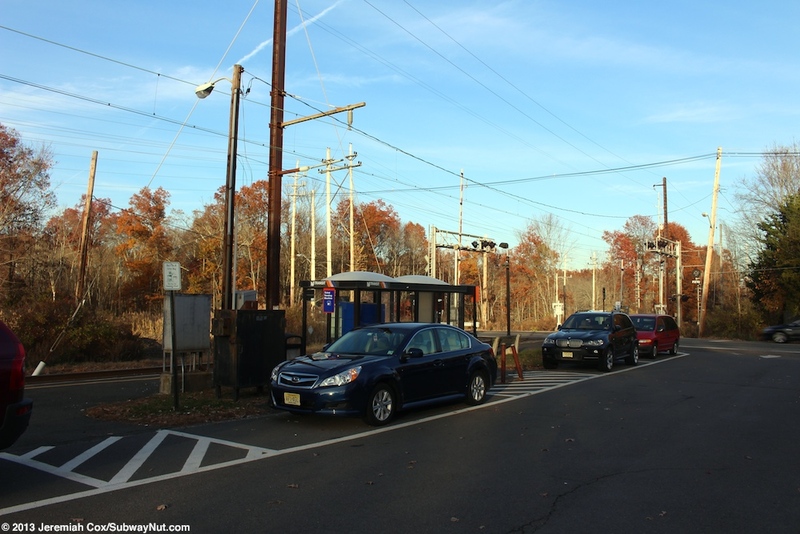 The station consists of a single low-level platform on the south side of the single track that begins at the grade crossing of Mountain Avenue and runs west accommodating 4 cars. 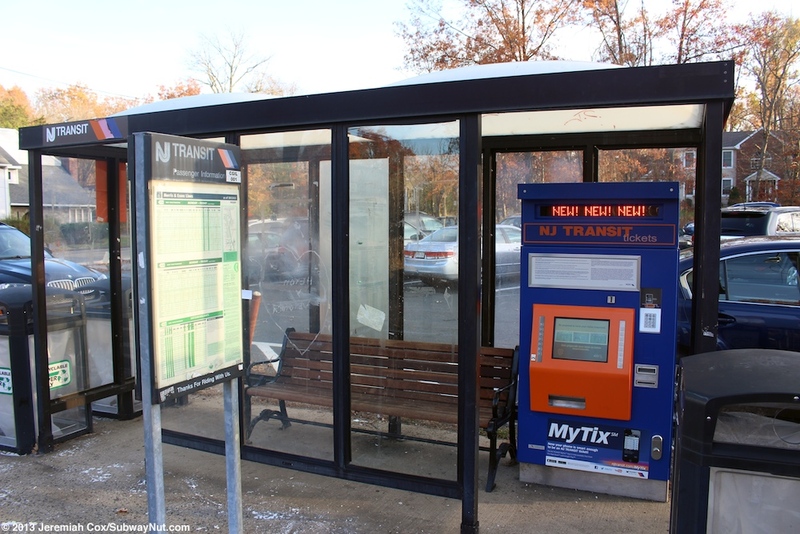 The only amenity for waiting passengers is a single doublewide double white domed bus shelter covering a bench and a TVM. 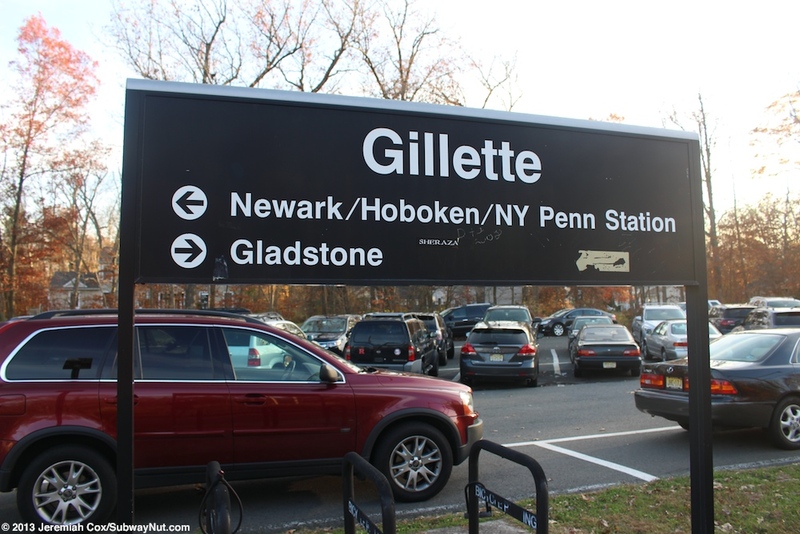 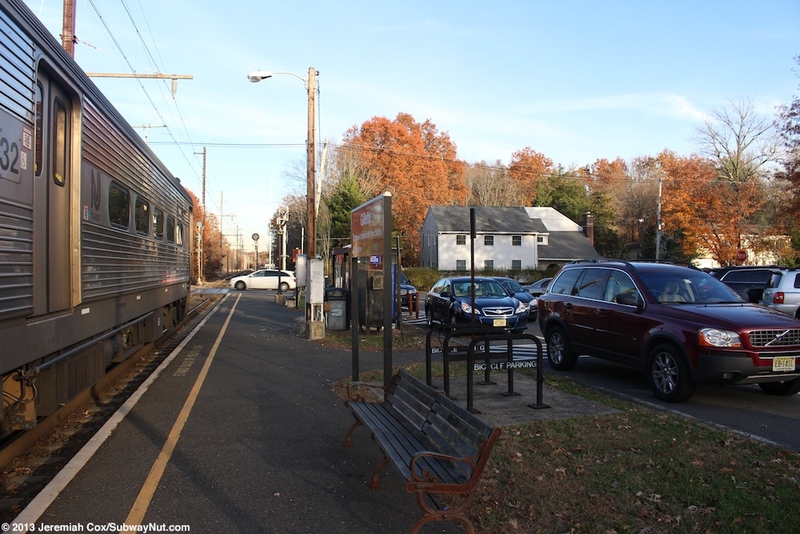 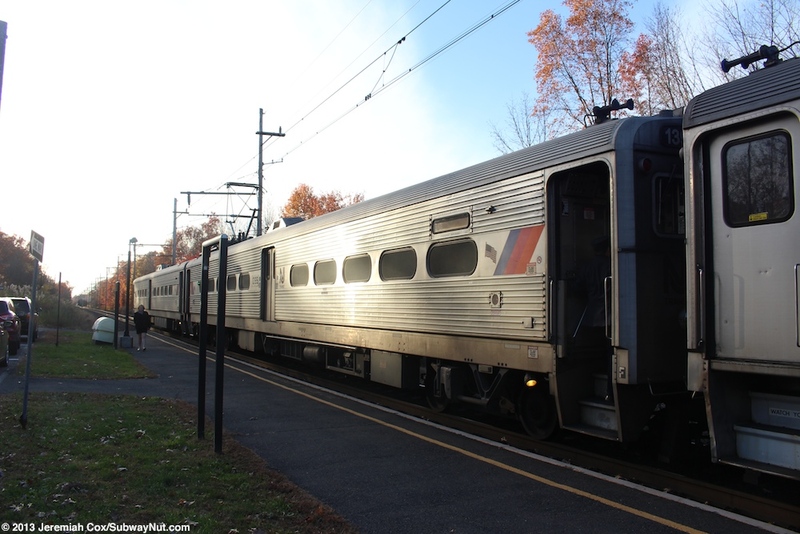 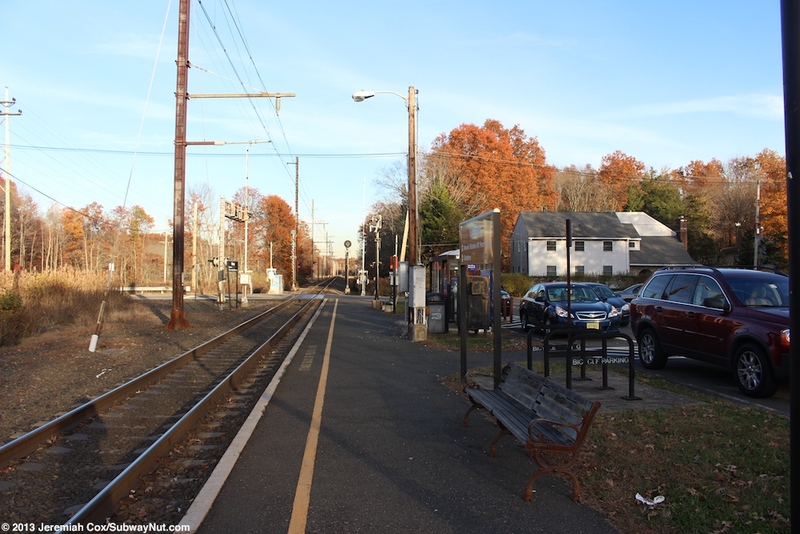 There is an additional park bench along the platform with plenty of NJT modern Gillette signs. 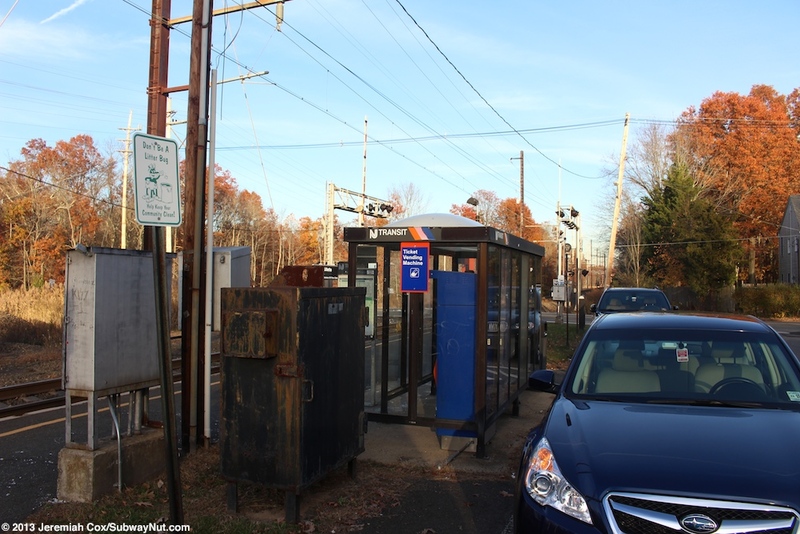 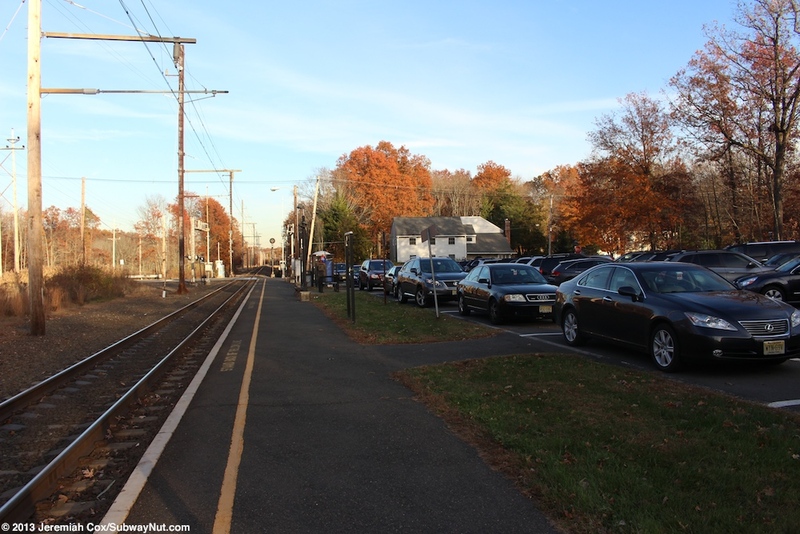 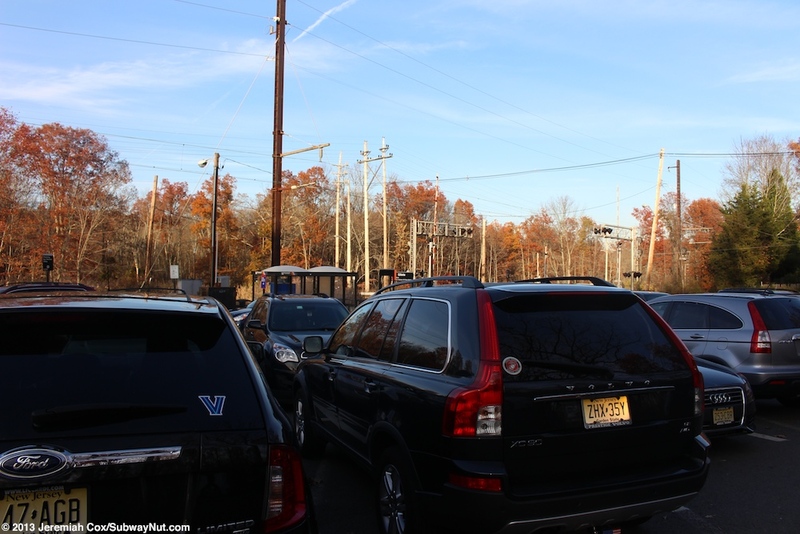 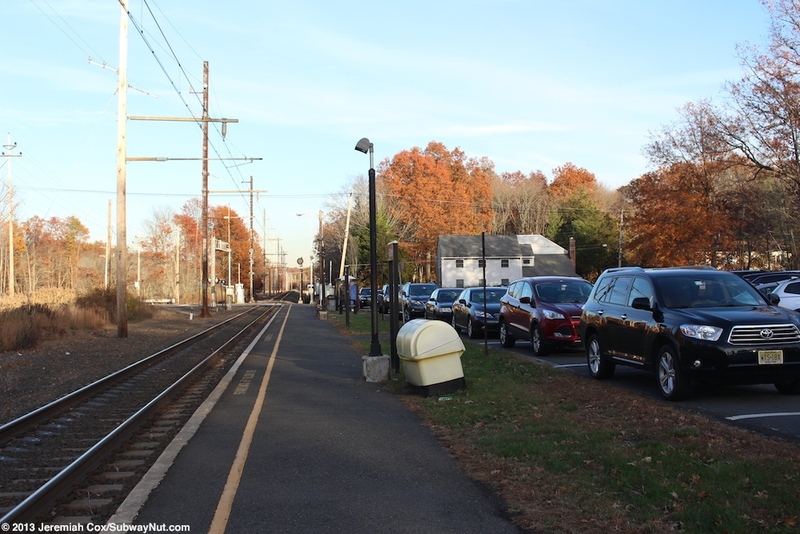 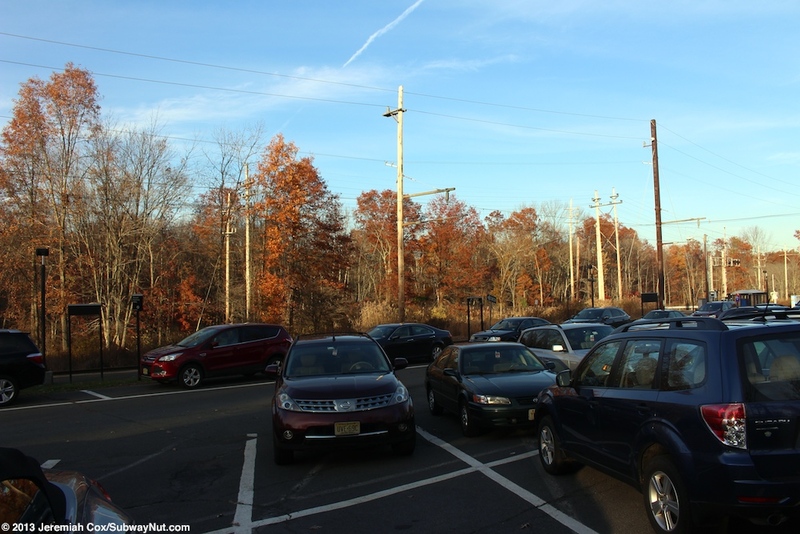 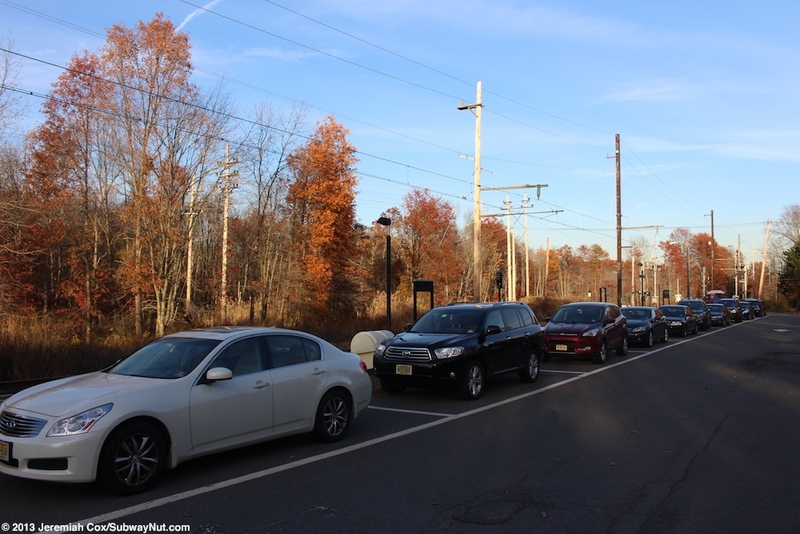 The platform is on the edge of an 82 space parking lot with one entrance from Mountain Avenue.